On September 17, 2016, a story was posted on Reddit titled Justice. 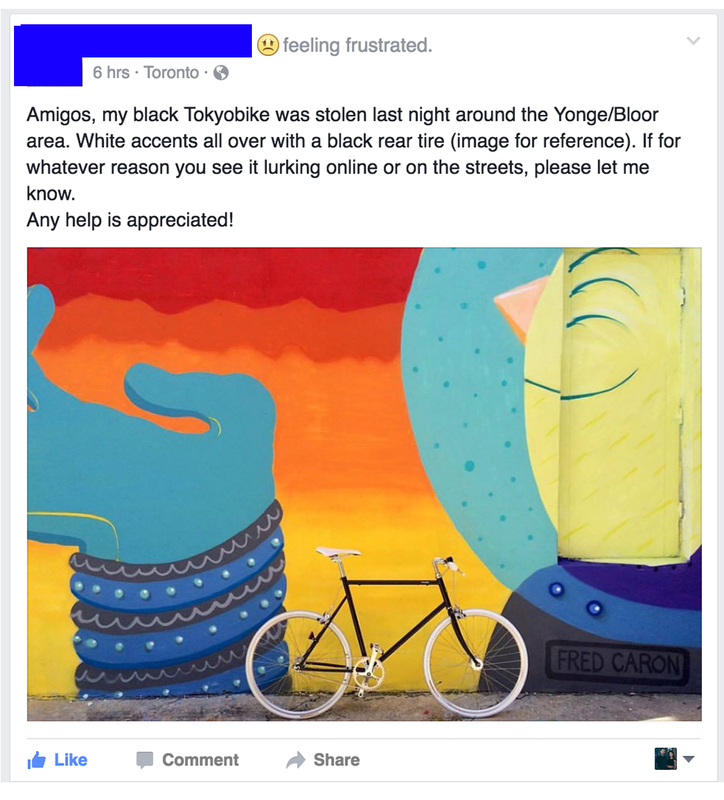 A friend of the poster had had his black Tokyobike stolen in Toronto on the night of September 15. Apparently, the thief had ground the U-Lock off. How awful! 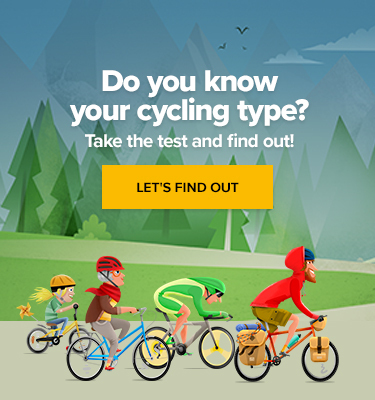 Those of us who have had bikes stolen know that this is beyond obnoxious. Then the following day, September 16, someone listed the same bike on Kijiji, an online classified advertising service, claiming to be the owner. So what happened next? 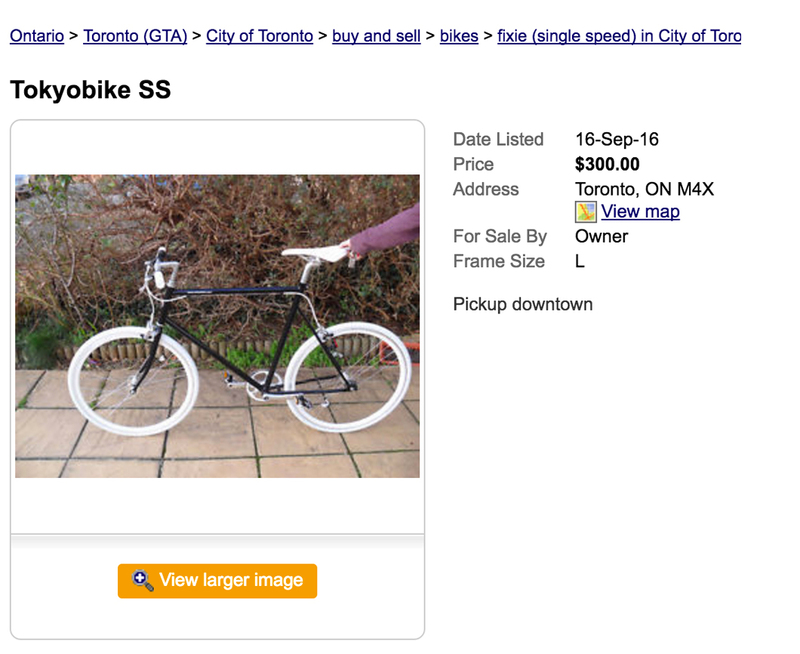 They messaged the bike thief! 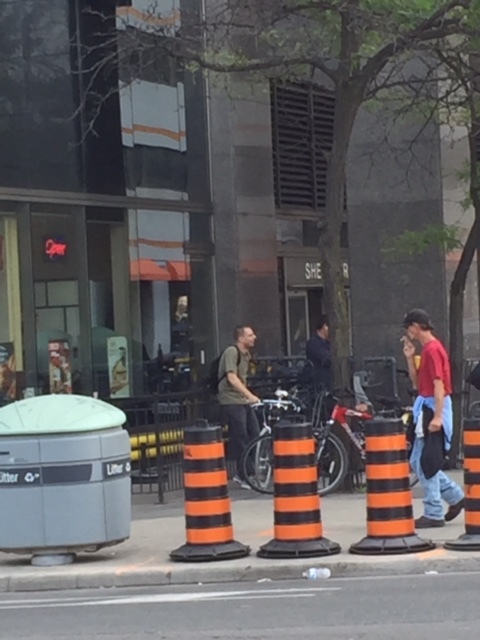 The guy showed up early at the agreed meeting point, tested out the bike and then impatiently waited for his “buyer” to show up. 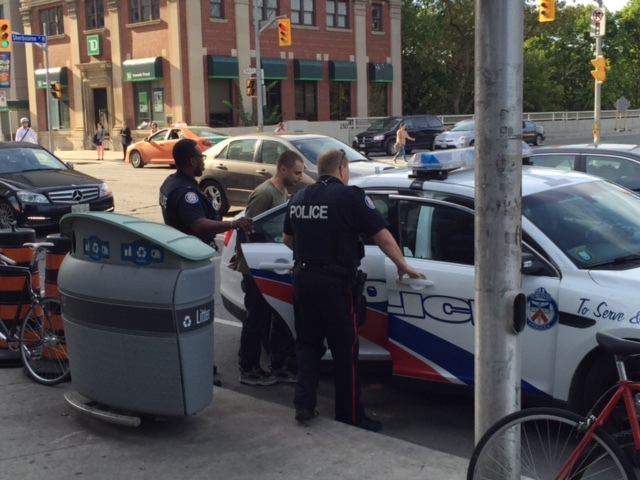 Instead, a couple of uniformed officers from the Toronto Police showed up! 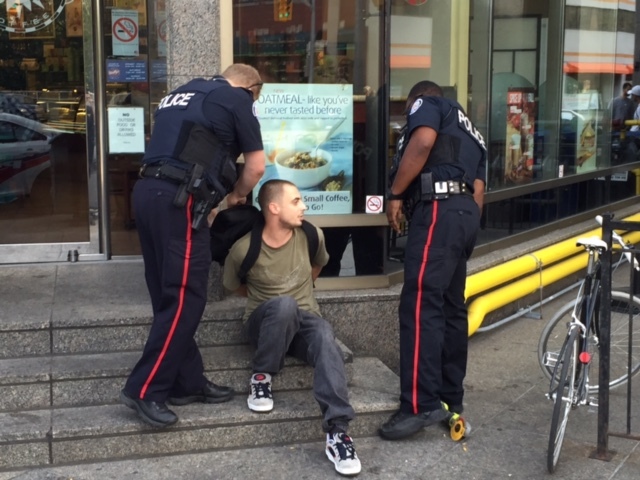 Before they escorted him to their police vehicle, they even found the grinder he’d used in his backpack. The post, along with juicy photos via Imgur, has had over two hundred thousand views on Reddit. Who doesn’t like a story with a happy ending? Notice the grinder on the ground. Police pulled that out of his backpack. 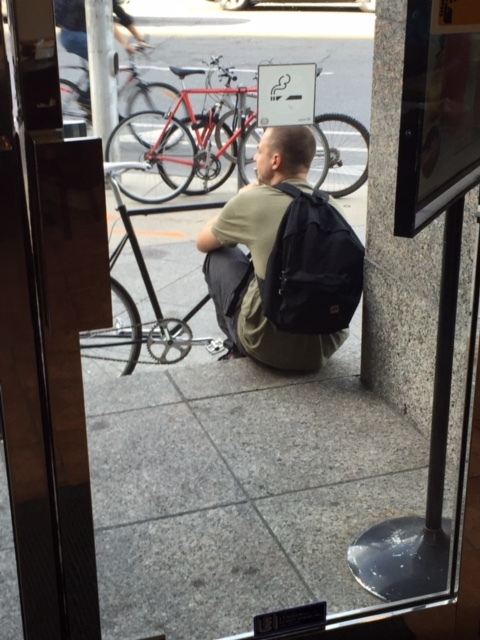 Former Thief Interviewed: How Does Bike Stealing Actually Work?